In late 2017, Let it Be Us was selected as the partner organization of the IASC State Service Project through the end of the 2022 school year. Let it Be Us is an Illinois based 501(c)(3) organization with the mission of helping foster children find adoptive families. When children enter the foster care system, they often end up attending a new school and may not have all the supplies they need to fit into their new school, or succeed academically. The IASC is partnering with Let it Be Us to assemble "Backpack Supply Bags", which will contain needed school supplies that can be given to foster children as they enter a new school environment. This year we will also be creating an "IASC Scholarship", which helps children continue their education through college. While foster care children receive a free education in college, they often do not have the items a normal college student receives - such as a computer, headphones, extra books, etc. - making it extremely hard to pursue a degree. THe IASC Scholarship will collect monetary donations as the basis for funding and assisting students in the Let it Be Us Mentorship Program obtain a degree. Other materials such as multiplication flash cards, books, headphones, and other educational aids are not required, but very much appreciated. Make a monetary donation to fund the IASC Scholarship for Let it Be Us high school students in the Mentorship Program who wish to pursue a college degree. Organize a fundraiser or make a dontation (keeping in mind this scholarship will fund items like computers, headphones, books, tutors, etc.). For assistance in organizing a fundraiser, please contact IASC President Priyanka Kaushal, at president@illinoisstuco.org. 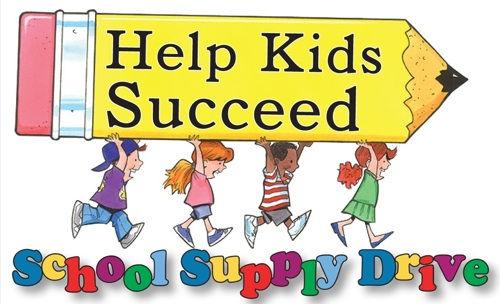 To receive credit for making supply bags or providing a monetary donation, schools are asked to complete a validation form. The completed form should be returned to the IASC President by April 15 of each year. This information is used to measure the participation and success of the service project, and is also used in the scoring for the Number One District award at the State Convention. A printable list of all supplies to include in each bag is available here. A list of local donation facilities is available here. Before donating a backpack, print out a bag tag and include it in each bag. The bag tag is available here. The IASC President is responsible for the organization, communication, and execution of the State Service Project. For questions or more information, please contact president@illinoisstuco.org. © 2019 Illinois Association of Student Councils. The IASC is recognized by National Student Council and the Illinois High School Association.